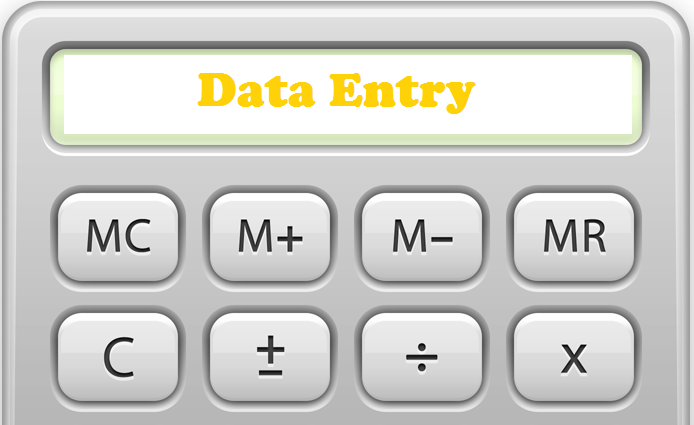 Data Entry: What Passing Targets do the Bears Need? There has been and will continue to be a great deal of talk about how the Bears need to add at least one stud wide receiver to their roster this off-season. Everybody wants a Julio Jones or Antonio Brown, with good reason, and the Bears are in desperate need of an upgrade in talent at the position after a season in which they finished last in the NFL in both passing yards and touchdowns, 25th in yards per attempt, and 26th in passer rating. The Bears are going to add more talent at WR. But what exactly do they need? Should they look for one great player, two good players, or three plus capable players? In an attempt to answer this question, I looked at how top passing offenses split their production among targets in recent years. After all, that’s the ultimate goal for the Bears, right? They want to become one of the top passing offenses in the NFL. Accordingly, I looked at top 10 passing teams according to Football Outsiders’ DVOA for each of 2015, 2016, and 2017 and tracked how many receiving yards each of their top 5 leaders in that category had for the season. While this DVOA stat is not a perfect metric, it is an attempt to measure the efficiency of a passing attack instead of volume, which you would get from just looking at passing yards. The full list can be seen here. The first thing that jumps out is that there is no single defined way to have a top 10 passing offense. Some teams did it with one clear stud and a bunch of secondary weapons. Others had two dominant targets. Some had no clear dominant target at all. Do the Bears have any hope of stopping Julio Jones? The answer is unequivocally no. The Falcons line up Jones everywhere and run him on as creative an array of routes as you’ll see designed for a premier wide receiver. He’ll run a go from one side, a slant from the other and a shallow cross from the slot on three consecutive plays. Will the Bears deploy Kyle Fuller on Jones for the entirety of the game? Doubtful. Jones is too good to isolate in man over the full sixty minutes. I’m having a hard time not envisioning a 10-catch, 140 yard performance. I’ve thought about this paragraph for a day or so. On the heels of Tim Jennings referring to the defensive approach against Carolina as “vanilla” this is the Sunday for Marc Trestman and Mel Tucker to go Rocky Road…or Rum Raisin…or pick the ice cream flavor of your choice since they are all infinitely less boring than vanilla. How do I mean? Julio Jones leads the league in catches (40), targets (T-1, 57), yards (552), first downs (28) and plays of 20+ yards (12). This is not a good wide receiver the Bears are facing Sunday. This is, as of this moment, with Calvin Johnson ailing, far and away the best wide receiver in the league. Can you stop him? Probably not. Can you make his life miserable for sixty minutes and force Matt Ryan to look elsewhere? Absolutely. Remember, I am not an X’s and O’s football writer. There are plenty of people out there to read if that’s what you’re looking for. My belief continues to be football is a sport where coaches put players in positions to make plays and the ones who make them are the ones who are successful. I continue to argue scheme/play-calling is the most overrated aspect of the NFL. Let me show you, in crude drawings, how I might approach Jones Sunday. (1) Having seen the success the Panthers had late, will Falcons defensive coordinator Mike Nolan continue his attempts to compensate for his ineffective front four by utilizing extra personnel to pressure Cutler? Against the Giants, this left gaping holes in the middle of the field and Eli Manning dissected the Falcons. Expect Matt Forte to settle underneath the Falcons secondary and provide check downs for Cutler all afternoon. (2) Can Desmond Trufant recover from his dismal performance against the Giants with the wide receiver talent increasing Sunday? Trufant is constantly left on an island with receivers, specifically in the red zone. If I am Jay Cutler this is a week to unleash the vertical passing game and allow Marshall and Jeffery to make plays even when they seem to be covered. (3) Do the Bears have any hope of stopping Julio Jones? The answer is unequivocally no. The Falcons line up Jones everywhere and run him on as creative an array of routes as you’ll see designed for a premier wide receiver. He’ll run a go from one side, a slant from the other and a shallow cross from the slot on three consecutive plays. Will the Bears deploy Kyle Fuller on Jones for the entirety of the game? Doubtful. Jones is too good to isolate in man over the full sixty minutes. I’m having a hard time not envisioning a 10-catch, 140 yard performance.